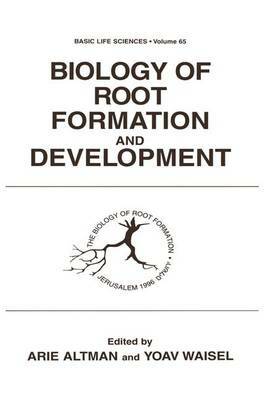 This book contains the majority of the presentations of the Second International Symposium on the Biology of Root Formation and Development that was hcld in Jerusa- lem, Israel, June 23---28, 1996. Following the First Symposium on the Biology of Adventi- tious Root Formation, held in Dallas. USA, 1993, we perceived the need to include all kinds of roots, not only the shoot-borne ones. The endogenous signals that control root formation. and the subsequent growth and development processes, are very much alike, re- gardless of the sites and sources of origin of the roots. Therefore, we included in the Sec- ond Symposium contributions on both shoot-borne (i.e., adventitious) roots and root-borne (i.e., lateral) roots. Plant roots have remained an exciting and an intriguing field of sciencc. During thc years that followed the first symposium, an exceptional proliferation of interest in root biology has developed, associated with the intensive research activity in this field and the contemporary developments in the understanding of root function and development. New methods have been applied, and old ideas and interprctations werc rccxamined. Alto- gether, it became necessary to update our viewpoints and to expand them.